There have been several claims that there was an agreement between NATO and USSR at the end of the Cold War. This agreement supposedly required NATO to reject any membership applications from the nations formerly part of the Warsaw Pact. If this agreement really did exist, it was violated already in 1990 by the inclusion of East Germany and again in 1999 by the inclusion of Poland, Hungary and Czech republic. However I have failed to find a reliable source for this agreement. Was this agreement never in writing and reached only by oral communication and then broken or misinterpreted entirely? Did this agreement exist at all? EDIT: East Germany did not enter NATO as a nation. Instead East German territories were incorporated to West Germany. Yes, arguably. There were several repeated assurances that NATO would not expand, given only orally or in letters, public newspaper articles, but no official treaty signed over this. This was heard from the Soviet side and is still interpreted by the Russian side today as "a promise". But it was a mere prerequisite for opening talks with the Soviets about the Germany merger in the first place and later left aside from both sides, for different reasons. And No, arguably. The view that this promise was "broken" might be seen as an over-interpretation since in the meantime to admitting new NATO-members several changes occurred, among them the political development between the Soviet Union successor states, former Warsaw Pact members and Nato that ended in signing a treaty with Moscow in 1997 that made membership for Poland etc possible. The last treaty might be seen as the Russians renouncing the promise of non-expansion of NATO (leaving out certain key elements that lead up to this treaty and its "promises") — and therefore the West as released from a promise that the West never considered legally binding anyway. This is no easy story. The Americans promised that Nato wouldn't move beyond the boundaries of Germany after the Cold War but now half of central and eastern Europe are members, so what happened to their promises? It shows they cannot be trusted. Some Western analysts now come to the same conclusion: Russia's got a point: The U.S. broke a NATO promise (LA-Times 2016). Non-integrated German units could be stationed in the former GDR immediately after Germany regained full sovereignty, and German NATO-integrated forces after the withdrawal of Soviet troops, but no allied forces. Germany would not produce or possess nuclear, bacteriological or chemical weapons. NATO would transform its structure and its role in Europe, emphasize its political role. U.S. Secretary of State James Baker’s famous “not one inch eastward” assurance about NATO expansion in his meeting with Soviet leader Mikhail Gorbachev on February 9, 1990, was part of a cascade of assurances about Soviet security given by Western leaders to Gorbachev and other Soviet officials throughout the process of German unification in 1990 and on into 1991, according to declassified U.S., Soviet, German, British and French documents posted today by the National Security Archive at George Washington University. What would Mr. Gorbachev demand in return? To learn the answer, Mr. Baker and Mr. Kohl journeyed to Moscow within a day of each other. On Feb. 9, 1990, Mr. Baker asked Mr. Gorbachev, “Would you prefer to see a unified Germany outside of NATO, independent and with no U.S. forces or would you prefer a unified Germany to be tied to NATO, with assurances that NATO’s jurisdiction would not shift one inch eastward from its present position?” Mr. Gorbachev, according to Mr. Baker, answered that “any extension of the zone of NATO would be unacceptable.” Their meeting ended without any final deals made. Mr. Baker left behind a secret letter, detailing what he had said, for Mr. Kohl in Moscow. While Mr. Baker was in Moscow, though, members of the National Security Council back in Washington were worrying about his comment that NATO would not move eastward. To undo the damage they felt Mr. Baker had caused, they drafted a letter that President Bush sent to Mr. Kohl later that day. The presidential letter included language that differed in a subtle but significant way from the language offered by the secretary of state. Instead of a pledge about NATO’s borders, Mr. Bush suggested that East German territory be given a “special military status” within NATO. What that status would consist of was to be negotiated later, but the core assumption was clear. 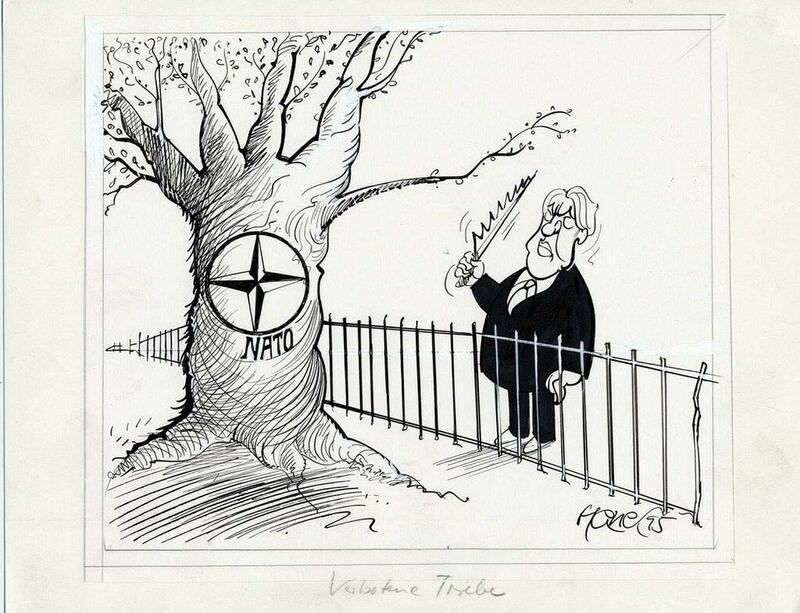 NATO would grow and former East German areas would have a special status within the alliance as it did so. A foreign leader can see daylight between a president and his secretary of state from the other side of the world, and Mr. Kohl did not have to look that far. He just had to read the differing phrasings used by Mr. Bush and Mr. Baker to notice it. So whose language did Mr. Kohl echo in his own talks with Mr. Gorbachev the next day, Feb. 10 — the president’s or the secretary’s? Did NATO 'promise' not to expand? Yes. Countless times from 1989–1993 representatives of member states did just that. To Gorbachev and the SU as well as his successors. Just not in writing; that is: in the form of a signed treaty. Politicians and others, regardless of affiliation, claiming the opposite today, are just lying. Even the German parliament disseminates official "factsheets" to its members, detailing for example that Baker's later denials are counterfactual. It is not believable that those proponents of this view just do not know any better. Time has progressed and times have changed and the lack of a signed treaty on this, that went through all steps of formalisation, ratification etc may be interpreted as somewhere between "no promise" or "long ago"/"the view at the time", "necessary ruse", or "irrelevant today". While Moscow was never a real fan of NATO's eastward expansion, the current interpretation from the Russian side favours this view of outspoken promises, that were not kept afterwards or really broken in 1997/99. One note concerning how the question is currently phrased: Whether anything "required NATO to reject any membership applications from the nations formerly part of the Warsaw Pact" is a tricky phrase, and can be easily answered with a resounding "No". "Required" and "reject" are words that were indeed never used in public discourse. It was always something with less precision, like "move", "expansion", without naming names of any other states. From: Chaya Arora: "Germany’s Civilian Power Diplomacy. NATO Expansion and the Art of Communicative Action", Palgrave Macmillan: New York, Basingstoke, 2006. There were assurances given by NATO representatives, and deliberately left ambiguous, and kept out of any treaties at the time of German unification. The Russian side was led to believe and did believe these words as a promise. Whether it was caused just by the speed of unfolding events, the general political turmoil across Eastern Europe or short sighted trust misguided through misinterpretations, r even personal ineptitudes, in the end the Soviets had no signed papers about this promise to show for. In the following years of imagined peace dividend a process unfolded that more often than not alluded to a very close partnership or even a possible membership of Russia in a very much enlarged NATO, that might then be more accurately described as a political organisation and less of military alliance. In the light of these developments Russia then formally agreed to NATO enlargement. Due to the fact that neither membership nor even partnership enfolded in the way Russia envisioned or hoped for, but produced only several dysfunctional paper tigers, led to the conclusion in Moscow that the West had betrayed Russia all the time. Both sides have valid points in interpreting the political or moral obligations that might follow from the words exchanged, especially in late 89 and early 90. Morally or compared to an interpersonal level, NATO's argumentatio is weak and low, legally, from a perspective of international law, their position might be called "correct". The later denials from some of those involved at the time on the Western side are often walking very wobbly the line between re-interpretation of history and blatant lies surrounding the events. No Gobachev didn't get such a commitment because Gobachev didn't foresee the whole sale evaporation of the Soviet Union, nor did anybody in the West in 1989. Thus no such commitment would be necessary. Gorbachev didn't decide to dissolve the Soviet Union December 25, 1991. The Soviet Union un-expectantly collapsed from its own fiscal weight when it could no longer afford to operate. Gorbachov himself left the Kremlin when officials (Boris Yeltsin) literally turned the lights off in the Kremlin. The end was that surreal. From a vision stand point Gorbachov made a few mistakes leading up to having his office lights turned off on him. Mistakes which he could have mitigated had he understood what was happening. (1) Yetsin had been democratically elected and thus seemed to possess more credibility with the people than did Gorbachov who was appointed by the Soviet infrastructure. If Gorbachov had stood for elections earlier when he was popular enough to have won; he may have been able to win a popular stand off with Yeltsin. (2) Gorbachov survived (both physically and politically) a coup attempt in August of 1991 where leaders of the former Soviet Union tried to retire him as had once been done to Nikita Khrushchev. Gorbachov did not survive due to his own political acumen but rather his primary rival Yeltsin proved too popular with the people, including rank and file soviet troops who ended up turning away from soviet commanders in favor of Yeltsin's authority. Here again Gorbachev was entirely unprepared for the betrayal, and was saved as an side effect by Yeltsin’s bold confrontation of soviet troops sent to arrest him. But Gorbachov never saw the big picture of what was happening to the Soviet Union. Nobody did. Everybody saw the bleeding, nobody realized the collapse was imminent. Nobody in the west saw it, not even famously multi billion dollar intelligence agencies who had studied little else for six decades. Suggesting Gorbachov foresaw any of this in a timely manor and was able to illicit terms from the west is absurd. Everybody thought the Soviet Union was just tightening the belt, adjusting policy, nobody realized the super power, vaunted NATO boogie man, was about to succumb to systemic organ failure from decades of neglect. Now the Wall in Germany came down a 9 November 1989. Its possible at that time if Gorbachov understood what was happening, perhaps he had leverage to negotiate such an arrangement with NATO member states. That would have occurred with individual member nations and would mean 16 separate agreements which is the only way such an pact would be creditable. Membership in NATO must be unanimous so one nay vote is technically enough to block a new member, but to block all of Eastern Europe when many in the west believes Stalin stole anyway would take a huge block to keep out. To further dismiss this proposition Gorbachov's own admission he agreed that a unified Germany would go into NATO; and no other former WARSAW pact nation was in play Nov 1989. Gorbachev didn’t know just two years latter the power would be turned off to his office. Gorbachev didn’t even realize that the morning of the event, nobody did. It's not likely Gorbachev saw the Soviet retreat from all of Eastern Europe, or Eastern Europes mass defection to the West. The rest of the WARSAW Pact countries didn't follow an orderly line out of the Soviet Union. As the Soviet Union contracted, the Soviet friendly governments were replaced by more independent minded governments and the entire exercise was out of Gorbachev's or frankly NATO's control. I think Gorbachov's book is basically one meant for domestic consumption. Michael Gorbachov goes down in history in the West as a great leader who rode his sinking ship down the tubes in an orderly manner. He certainly wasn't the architect, but he would be the captain of that collapse. To his great credit he didn't allow the instability he inherited to motivate him to pursue a messy military solution. I think domestically in Russia, however; history does not treat him as kindly and that is why he would suggest he was somehow betrayed by the West. I think in Russia domestically they actually think what was called for then was another Stalin like leader. A strong man willing to massacre millions of citizens to keep the empire together. Of coarse most Russian nationalists look back fondly on Stalin and don't delve too closely with the whole second or third largest mass murder of the 20th century history. This phantom talk of an agreement in keeping former Warsaw Pact nations out of NATO is thus an excuse for domestic consumption to excuse what the Russian populous believes was Gorbachev's personal failure. Suggesting Gorbachev had the foresight to seek terms, was honorably given terms, but he was betrayed by the west; dismisses the entire relationship between the Soviet Union and the West. The entire thread of events relies on 20/20 hind sight, because actual events occurred so quickly and where so shockingly unforeseen nobody in Russia or the West were aware the end was near until Gorbachev was literally sitting in the dark. Admiral Stansfield Turner, Former Director of the Central Inteligence Agency. Page 840: Readings in Russian Civilization, Volume 3: Soviet Russia, 1917-Pressent. In response to a French book by Michel Garder entitled "The Death Struggles of a Regime" predicting the fall of the Soviet Union. American Soviet Expert and Yale Professor Frederick C. Barghoorn Garder's book is the latest of a long line of apocalyptic predictions of the collapse of communism. Such prophecies ignore the fact that great revolutions are most infrequent, and that successful political systems are tenacious and adaptive. Every revolution is a surprise. Still, the latest Russian Revolution must be counted among the greatest of surprises. In the years leading up to 1991, virtually no Western expert, scholar, official, or politician foresaw the impending collapse of the Soviet Union, and with it one-party dictatorship, the state-owned economy, and the Kremlin’s control over its domestic and Eastern European empires. Neither, with one exception, did Soviet dissidents nor, judging by their memoirs, future revolutionaries themselves. When Mikhail Gorbachev became general secretary of the Communist Party in March 1985, none of his contemporaries anticipated a revolutionary crisis. Although there were disagreements over the size and depth of the Soviet system’s problems, no one thought them to be life-threatening, at least not anytime soon. (*) One reason the west was so blind to the weakness of the Soviet Union was frankly Ronald Reagan. Reagan had won the Presidency in 1980 on the platform that Russia was eclipsing the United States and the West in military power. That through laziness and bad political deals in the west and through diligent hard work in the east; the Soviets were opening a gap of power between the West and East. This was the popular belief in the West in the 1980's and justified a massive rearmament process under Reagan which nearly tripled the national debt. 1 Trillion to 2.8 Trillion under Reagan's 8 years. When George Bush came to power in 1989 I think the West was realizing the Cold War was coming to an end due to Gorbachov's policies. Bush cut military spending 10% in all four years of his Presidency and still ran massive deficits. The only Western advisor who I know who predicted the collapse was the discredited Jimmy Carter's National Security Advisor Zbigniew Brzezinski. Zbigniew had lost credibility during the Iranian hostage crisis under Jimmy Carter who's entire foreign policy was not "particularly effective". In 1989 however Zbigniew would come ragging back. 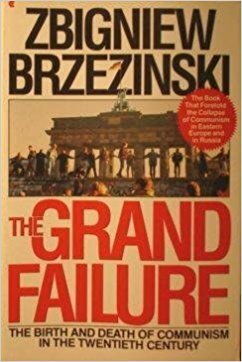 Shortly before the Berlin Wall came down Zbigniew published a book entitled, The Grand Failure: The Birth and Decay of Communism in the Twentieth Century(Published March 1, 1990). I think Zbigniew won back a lot of credibility during the Soviet Collapse as he became an influential advisor on how the West handled the collapse. I think specifically on the reunification of Germany. The West had some misgivings, although short-lived as they were, about that reunification, as did the East. Not the answer you're looking for? Browse other questions tagged soviet-union cold-war nato or ask your own question. Did Nikita Krushchev's support of Stalin's purges play a part in his removal from office? Why did the NATO (help to) overthrow Kadhafi? Why Mexico is not part of NATO? What access did people in the Warsaw pact countries have to Western television and radio?